We need a logo for [login to view URL] - social learning platform. Slogan: Exchange your Knowledge. Colours: light blue and yellow. Logo should stimulate communication, optimism, yourself expression. P.s. 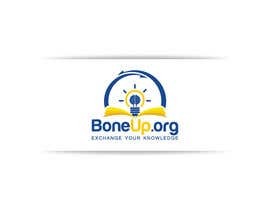 : Bone up means to try to master necessary information quickly. pls check # 150, give your feedback,ths. I am submitting my design for the contest at ►► #30. ► ► ► Please check all the SLIDES.